Fourth graders nationwide can visit www.everykidinapark.gov and download a free pass. More than 140,000 kids will have the opportunity to visit federal public lands and waters in the 2015-2016 school year, thanks to 186 grants from the National Park Foundation, the official charity of America’s national parks. These grants, part of the Foundation’s Open OutDoors for Kids program, support the White House youth initiative Every Kid in a Park. The 186 grants total $1.1 million and provide funding to remove barriers to accessing our nation’s public lands and waters, with a special focus on underserved and urban communities. With cutbacks in school funding for field trips, this strategic funding will help provide comprehensive access to all federal sites, including national parks, forests, wildlife refuges, marine sanctuaries and more. 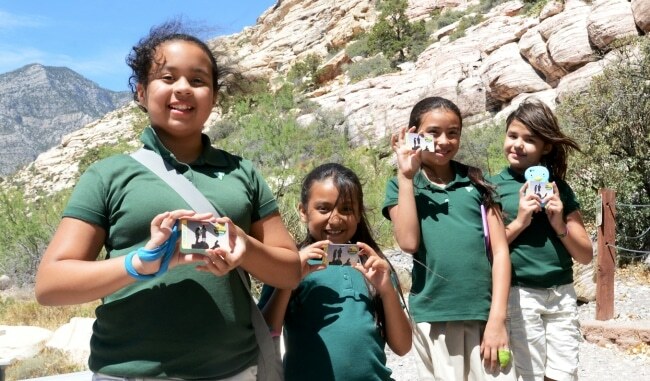 National Park Foundation grants, supported by Disney, have made it possible for more than 400,000 students (including this year’s grantees) to visit national parks and other public lands and waters. Since 2014, Disney has been the lead sponsor of Open OutDoors for Kids, opening a world of possibilities, inspiration and adventure for young people. 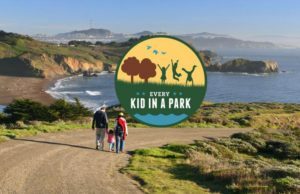 To participate in the Every Kid in a Park program, fourth graders nationwide can visit www.everykidinapark.gov and download a free pass. Every Kid in the Park is a White House initiative. More than 600 fourth-graders in the Boston Public Schools system will visit the park and learn about the importance of the African American community in Boston and the fight against slavery. More than 170 fourth-graders will use a stream table model with conservation district partners, visit with a wildlife rehabilitator and see live birds of prey, learn about animal track identification, tour the dam and outdoor recreation areas, and go on a nature hike and scavenger hunt. 100 fourth-graders from Reed Elementary School will hike in the footsteps of those who traversed the Oregon Trail. Approximately 650 fourth-graders from local schools will get hands-on experience exploring underwater shipwrecks with robots, taking water samples in the Thunder Bay River, and learning the effects of climate change with NOAA scientists. More than 150 fourth-graders from local schools will have the opportunity to be “gumshoes” and travel back to 1905 to learn tools and traditions from mountain culture, including washing clothes with a washboard and forest water. 500 Baltimore, Prince George’s, and Fairfax county public school fourth-graders will participate in wetland observation and water quality sampling, outdoor wildlife and habitat games, an educational tram ride, and a woodland scavenger hunt. 2,550 fourth-graders from Tucson schools will explore the Hohokam culture by creating petroglyphs, digging into the past with archaeologist tools, tasting foods of O’odham and Mexican cultures, and engaging in homesteading chores like those of the Hispanic and Anglo-American settlers. Students will also learn about hunting and gathering during hikes through the park. Individuals, foundations, and corporations can visit www.nationalparks.org/everykidinapark to contribute to the National Park Foundation’s efforts to support Every Kid in a Park. You can also view the full list of grantees, and their projects, on the same website. 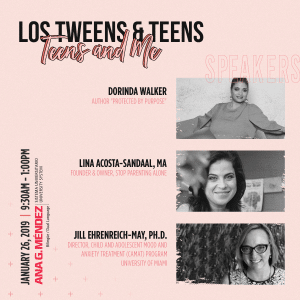 This entry was posted in Mind, new year, Raising Tweens, Teaching & Education Tips, Travel and tagged 4th graders, Every Kid in the Park, National Park Foundation, Tweens. Bookmark the permalink.